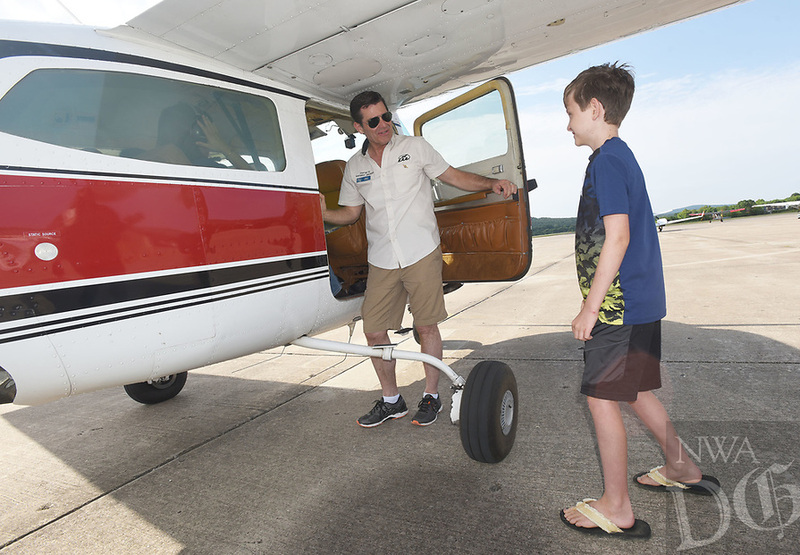 Pilot Mark Hutton welcomes Ethan Scherrey, 11, into his airplane on Saturday June 9 2018 during the Young Eagles aviation event at Fayetteville Executive Airport. The trip was Ethan's first flight. Members of the Experimental Aircraft Association host Young Eagles events to introduce youngsters to flying and perhaps a career in aviation. Kids learn the basics of flight in a classroom session then get a free airplane ride, said Russ Smith with the association. Pilots volunteer their time and aircraft for the events, he said.